Yesterday was Veteran's Day, and I loved seeing so many people come together to thank the amazing men and women who have served and are currently serving our country. For any veterans reading this, thank you! We are so grateful for you and your service! In keeping with the military theme, Parker and I got to talking yesterday. 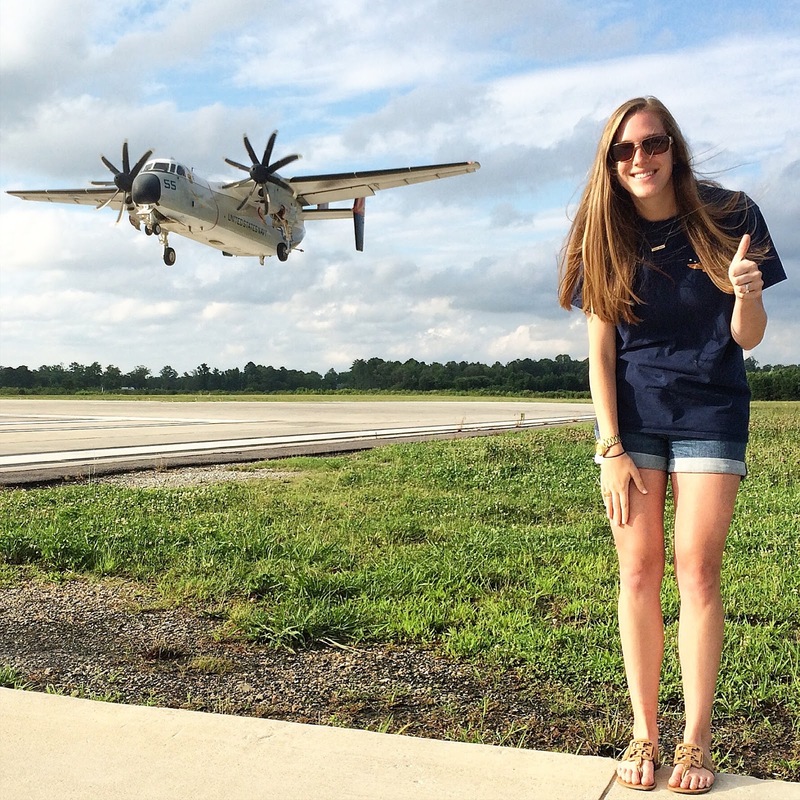 We have always said that military life is what you make it, and we completely stand by that. You can focus on the negatives of deployments, distance from family, etc. and be totally miserable or choose to see the positives. I'd be lying if I said military life doesn't come without its share of cons, but I think we so often dwell on those cons and take the pros for granted. So today, let's talk about those pros. 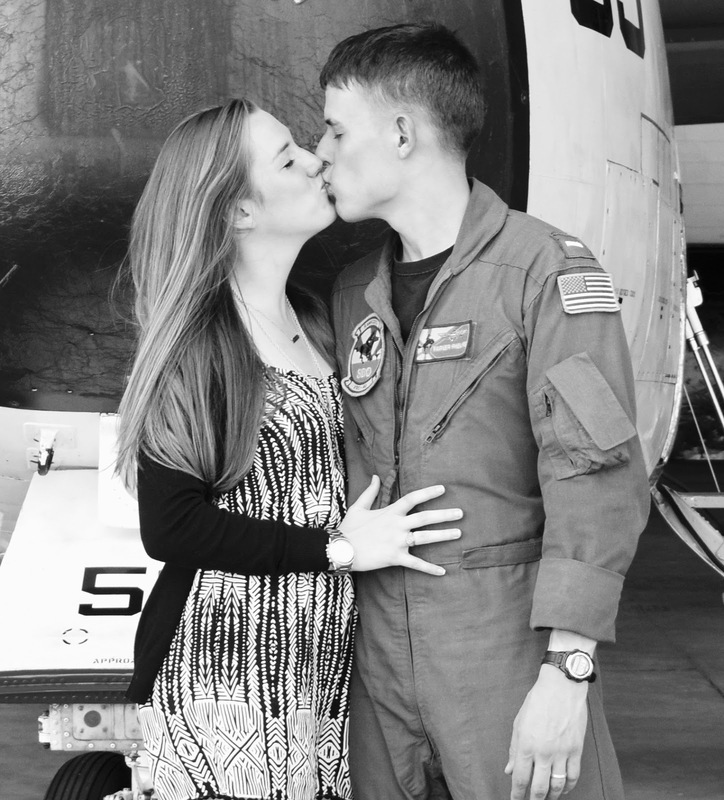 Let's talk about the 10 reasons why being a military wife is totally awesome. As much as we all seem to complain about Tricare, it's basically the sweetest gig ever. When we lost our first baby, I had an unplanned surgery and subsequent overnight ER visit. Over $10k in medical bills was almost completely paid for. Boom. Tricare for the win. This one is obvious, but it's a positive if we choose to see it that way. We get to see the world and live all over the country (and sometimes abroad). Texas is awesome, and we will God willing be back there one day, but Florida, Virginia, and where ever else the Navy chooses to stick us are pretty darn great too. Yall, is there anything more handsome than a man in a uniform? I think not. Let's call a spade a spade. We are girls, which means we like to dress up. 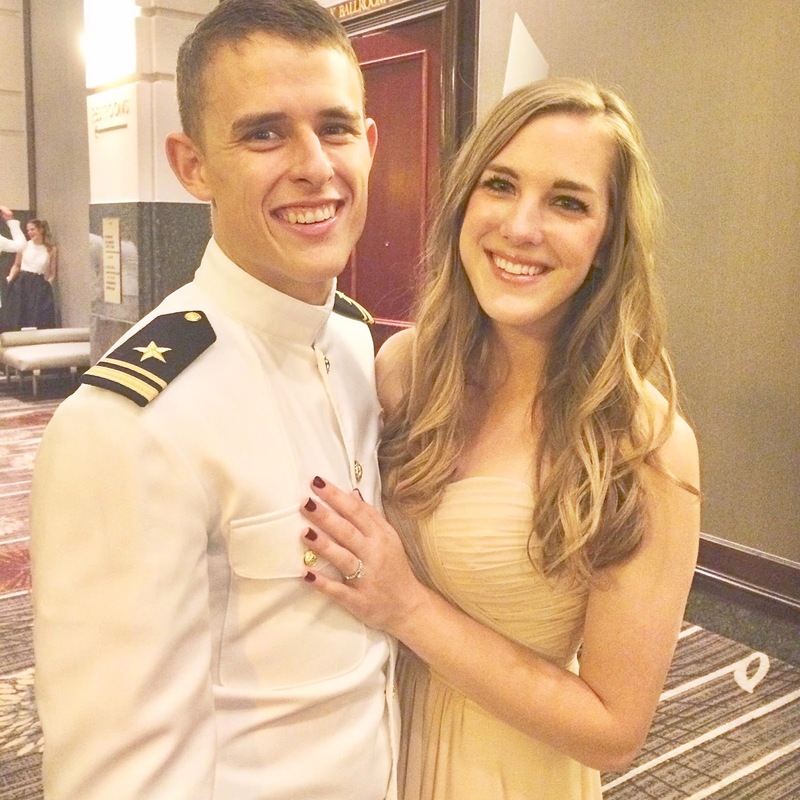 The military gives us the opportunity to get all dolled up once a year and go to the Ball. You'll never feel more like Cinderella than you do on this night. You also get to enjoy perk #3. Since Parker and I have already gone to college, the plan is to transfer his GI bill to our first kid. That's one less college we should have to pay for. Not a bad gig, yall. This is another obvious perk worth noting. Meeting so many people from so many different walks of life is just a cool experience. One can never have too many friends. Also, nobody will understand what it's like to be a military spouse quite like the other wives. You need each other. Our husbands leave for weeks to months at a time with limited communication. If you're not an independent person by nature, you will learn how to be. I think this is good character building. Everyone loves saving money, and we get to do a little of that. The VA loan was huge when we were buying a house, and military discounts are everywhere. Nobody ever complained about saving too much money. I couldn't be prouder of that husband of mine. Every time I see him in action or see videos of him flying, my heart swells with pride. Not everyone has the courage or discipline to do what these guys do. I have so much pride for the career he has chosen. So there you have it: 10 reasons being a military wife is totally awesome. The military has ruined plans, caused arguments, and complicated life, and I won't pretend that it hasn't, but it's also afforded us great opportunities. It's tough at times, but I think it's worth it. I sometimes wonder if Mac is ever embarrassed by the sheer number I times I ask for a military discount (pretty much every time we go and buy something). I hate paying full price. Love this! My husband leave for Army Basic in January and it's good to see lists like this because I am definitely nervous. Andy and I were just having a similar conversation over lunch yesterday! I think you are SO RIGHT about focusing on the cons too often. Loved this post :) And special thanks to Parker for all that he does! Totally needed to read this today! My fiancé is AF and I've been at his current base with him for about 9 months -- and I'm so incredibly homesick today. There are times I love the military, and times I loathe it.. but truly, there are so many positives and so much to be thankful for. And it is ALL about perspective! Thanks for the very well-timed post. Happy Veteran's Day to Parker, and thanks you for your sacrifices, too! This is an awesome list, Chelsea!! But I love your positive attitude and your "glass is half full" personality! I love this, Chelsea!! A lot of my non-military friends wonder how we can go months without our spouse, but they don't understand or will they ever know how sweet Homecomings are!! Great way for a military spouse to see the positives of living a military life!! I love this list - SO true!! The learned independence one is the biggest for me - what a game changer. I just have to laugh when I see obnoxious / annoying old Facebook posts I wrote years ago when they pop up on Timehop... if I only knew then what I know now! I could have written the exact same list! When we considered getting out about a year ago, it became overwhelming to me everything that we'd be giving up. This lifestyle really isn't so bad, and that's coming from someone whose husband has done way more deployments than he should have so far. I still love it! These are all very true! We never use the NEX because we live 45 from base, but I can see it being very useful to people closer. Yes to all of this! I miss some of these terribly-especially since I just had to change my health insurance plan here at work.